Uses Special Kevlar® Stitching Stitches that Will Not Break! Used exclusively in all Sports Tutor Pitching Machines. 3 - 5 5% $79.53ea. 6 - 9 10% $75.35ea. 10 or more 12% $73.67ea. 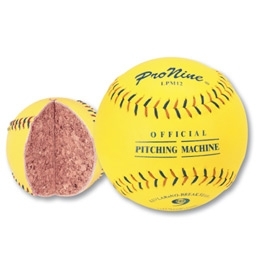 Pitching Machine Pro offers one of the best quality products for reasonable cost. This is the primary reason our organization keeps coming back!